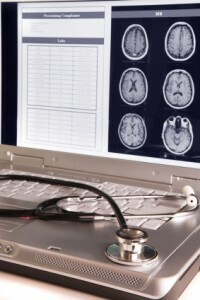 The medical records of patients contain significant amounts of personal information. Not only do patients expect that this information will be secured, government regulations require it, and impose stiff penalties for breaches of medical records. “Under new HIPAA rules, non-compliant providers face penalties of up to $1.5 million per year for security breaches,” according to Security Today. One of the methods that can successfully be used to combat physical breaches of medical records is the use of electronic access control. Electronic access control differs from mechanical access control in that instead of using a key for access, the system uses devices such as keypads or a biometric access control device. This achieves several things. First, it reduces the likelihood that access to records will be made difficult by a lost key, etc. Second, it allows for integration with other networked hospital security systems. This in turn leaves a digital record of information that can be used to see everything from time access was requested, the duration of the access, and the person who accessed the records. This data can be analyzed to look for inconsistencies, irregularities, and assist with investigations after security breaches. For any further questions about The Importance of Audio in Security Systems simply contact ARK Systems at 1-800-995-0189 or click here today. Check us out on Facebook and Twitter as well! This entry was posted on Thursday, May 22nd, 2014 at 2:10 pm. Both comments and pings are currently closed.